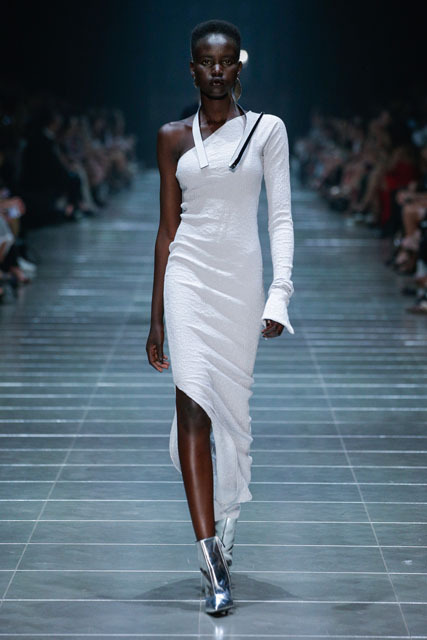 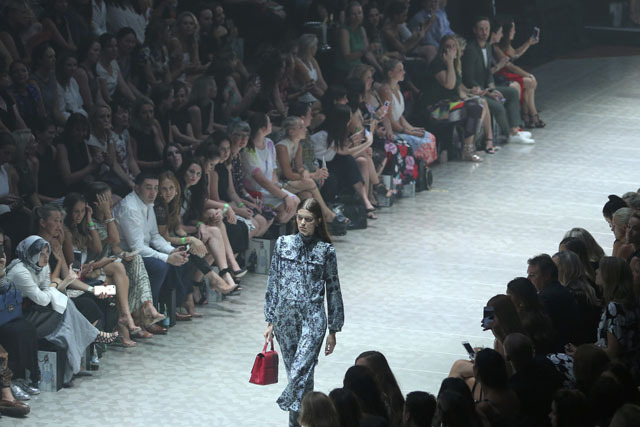 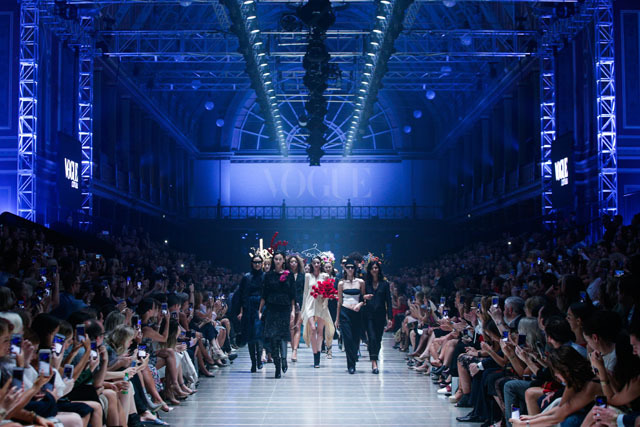 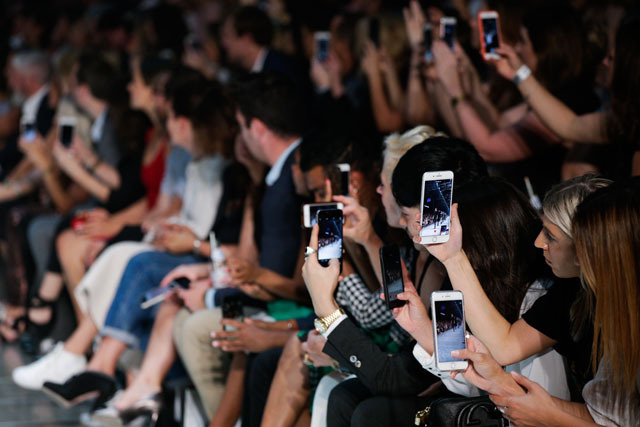 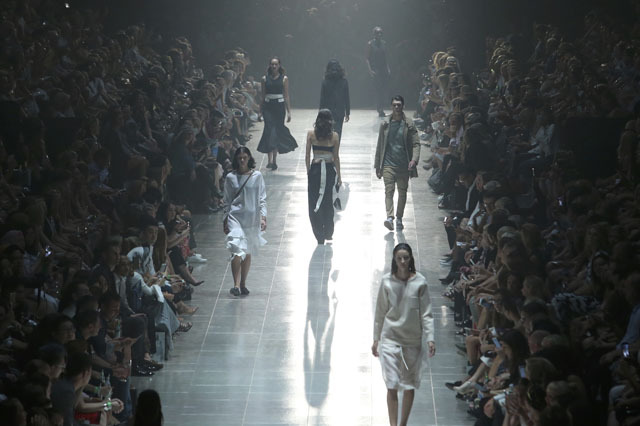 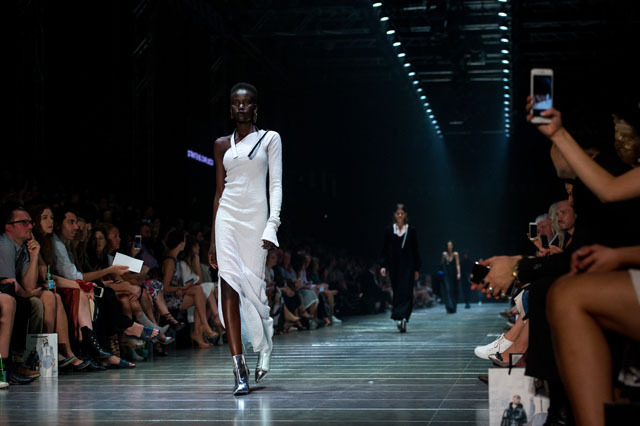 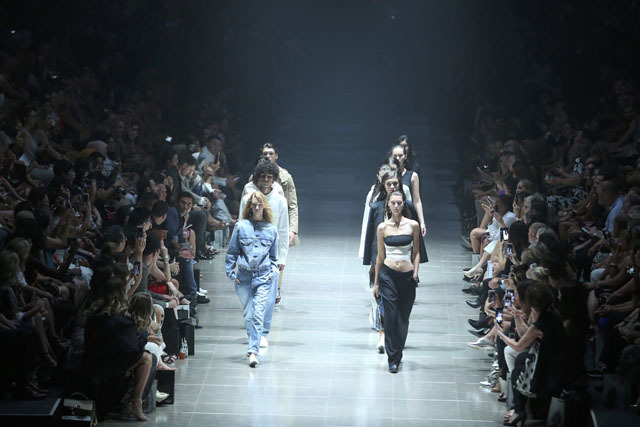 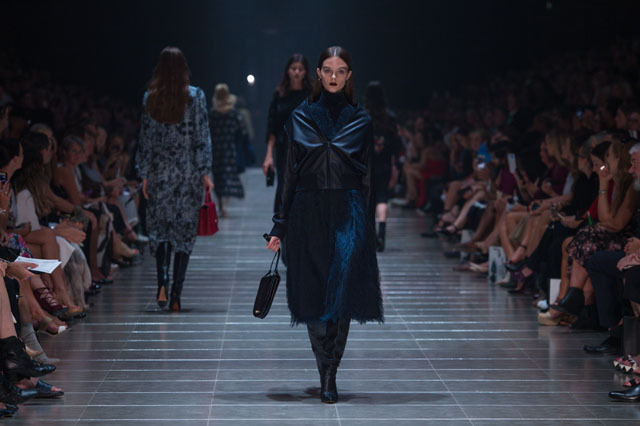 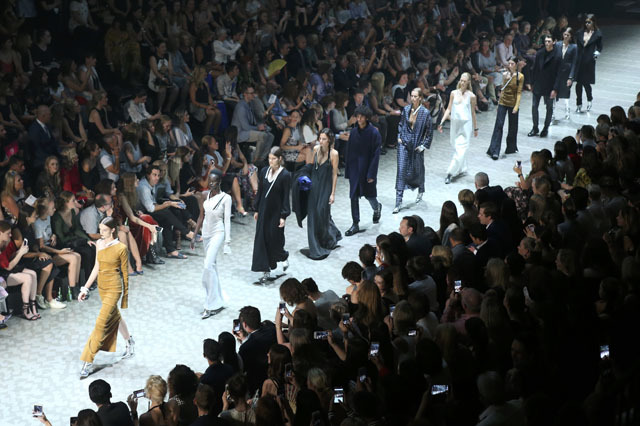 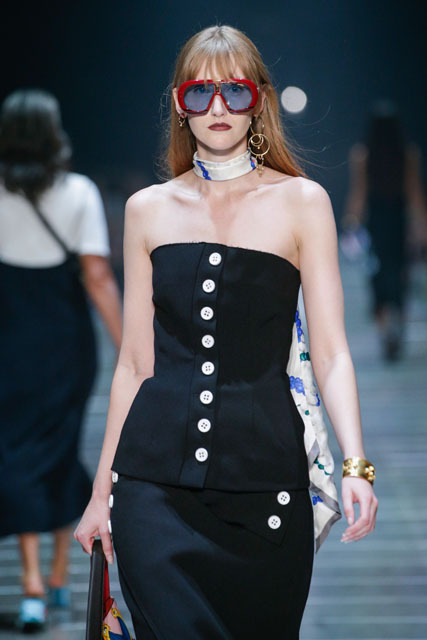 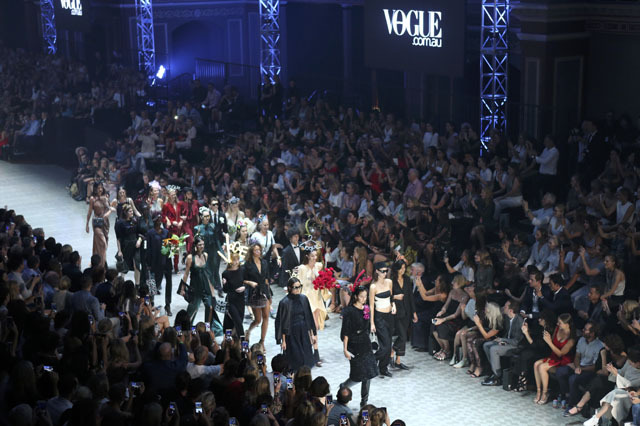 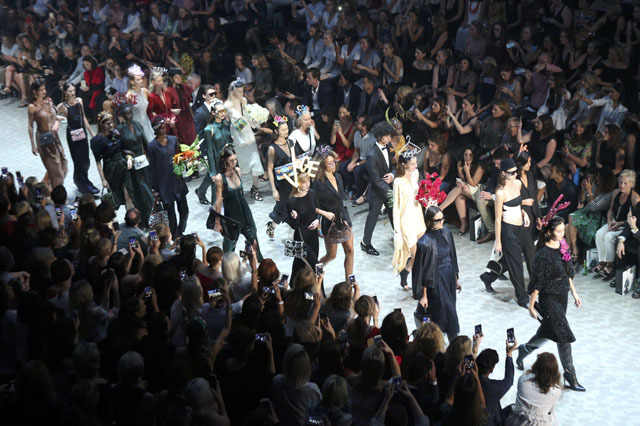 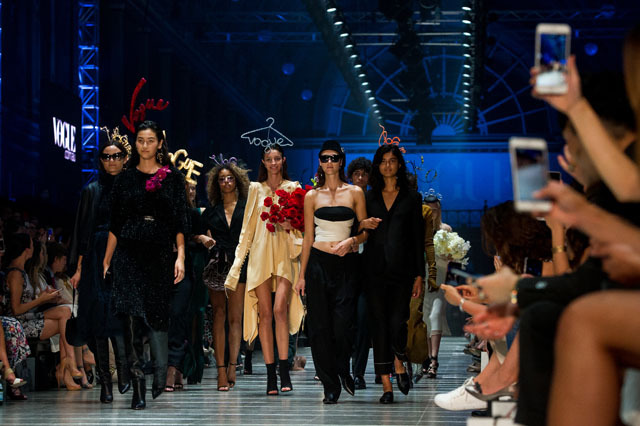 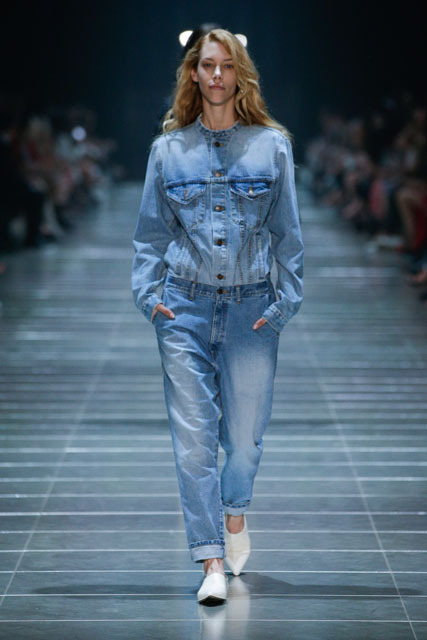 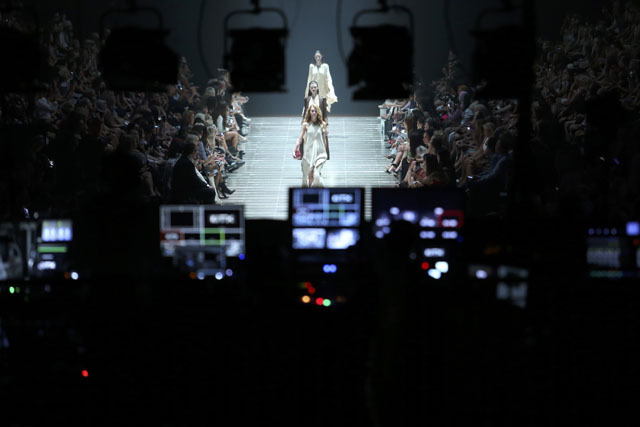 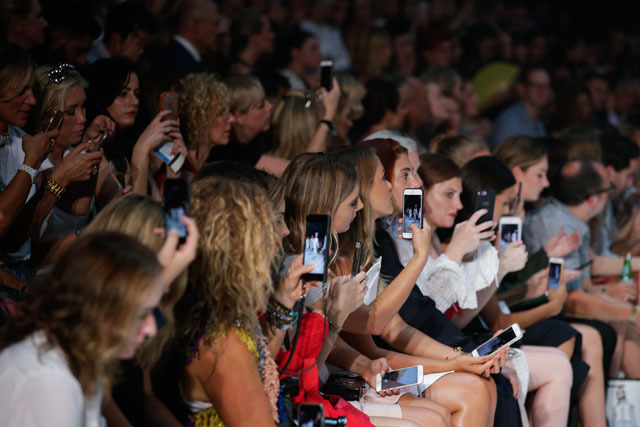 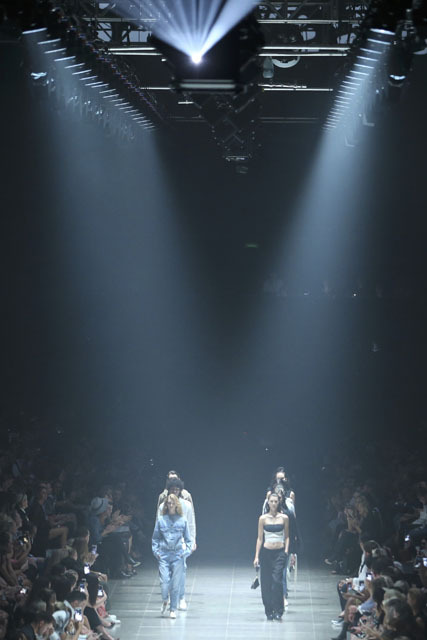 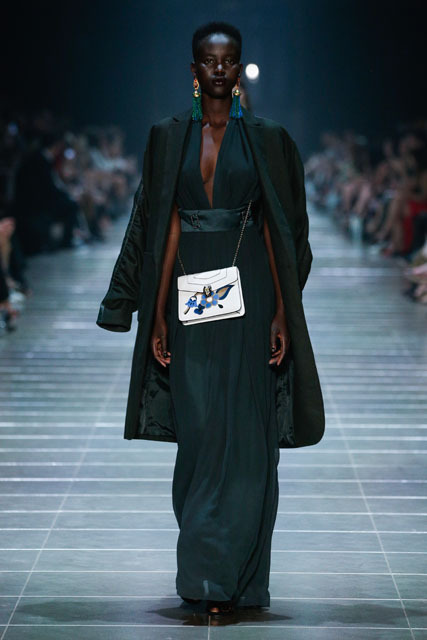 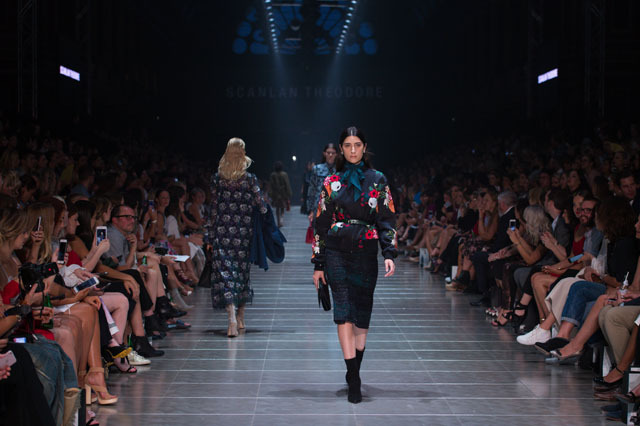 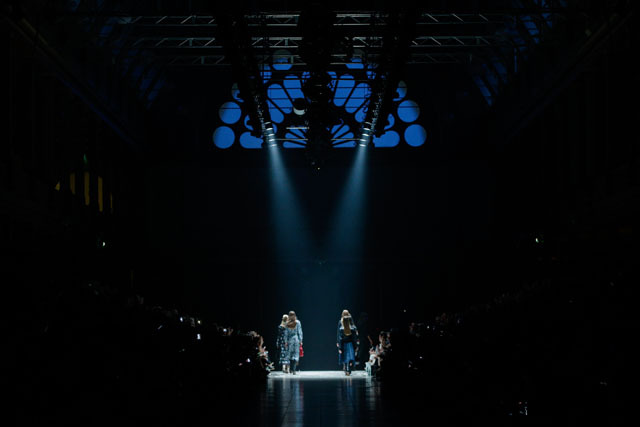 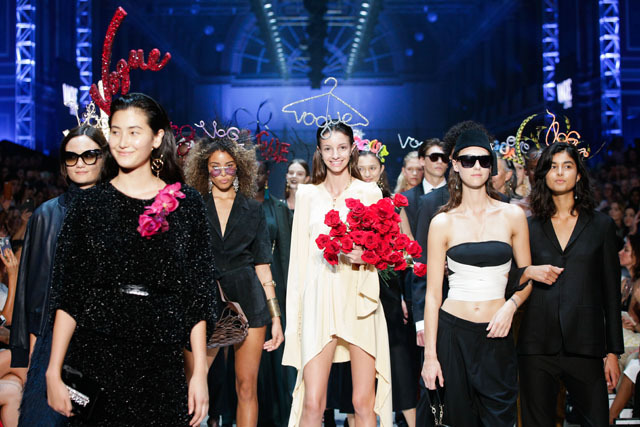 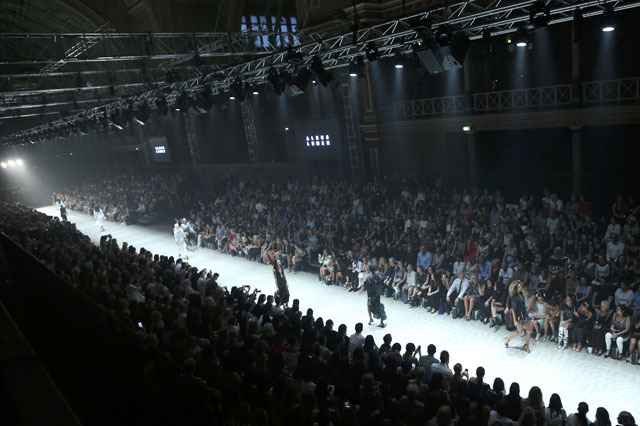 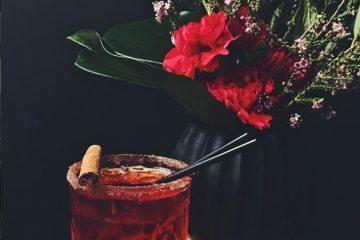 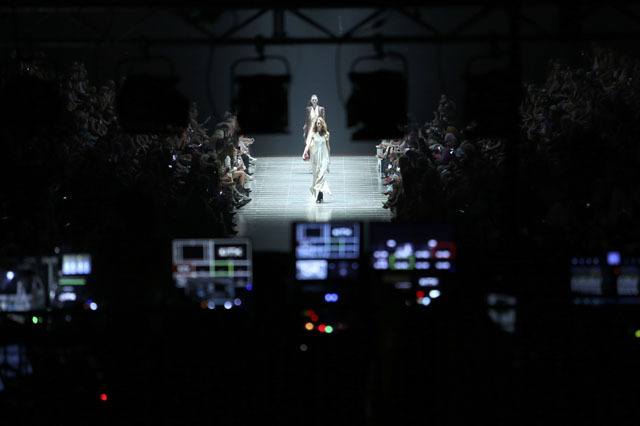 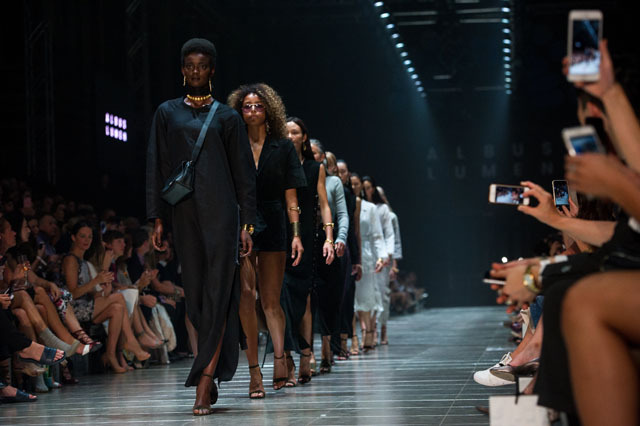 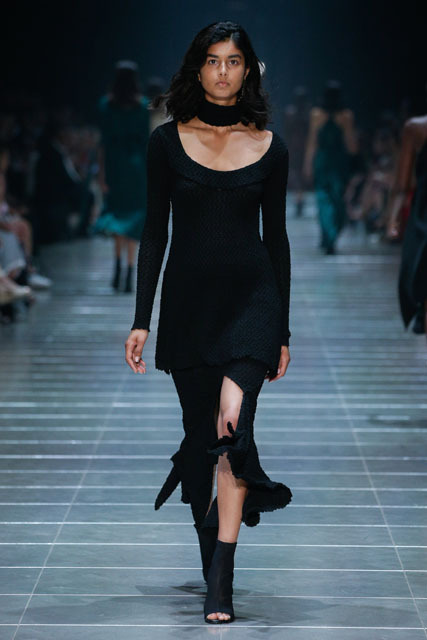 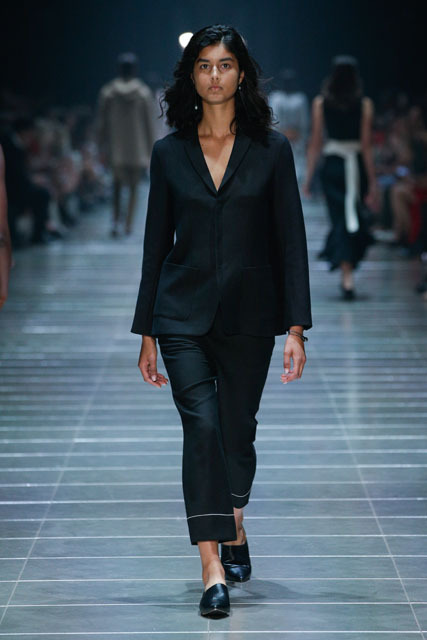 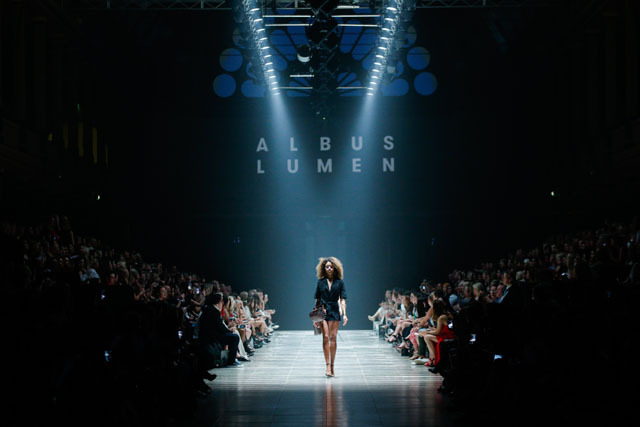 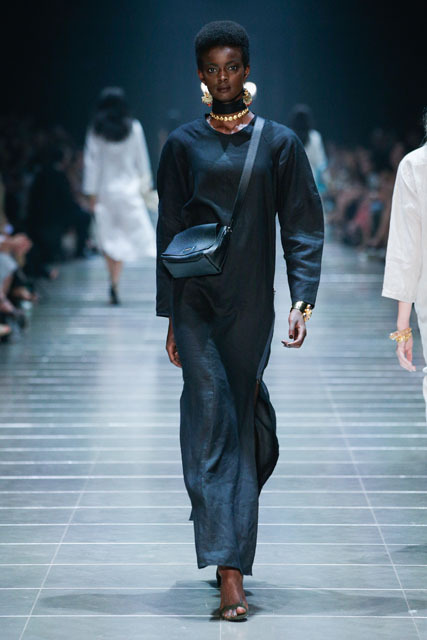 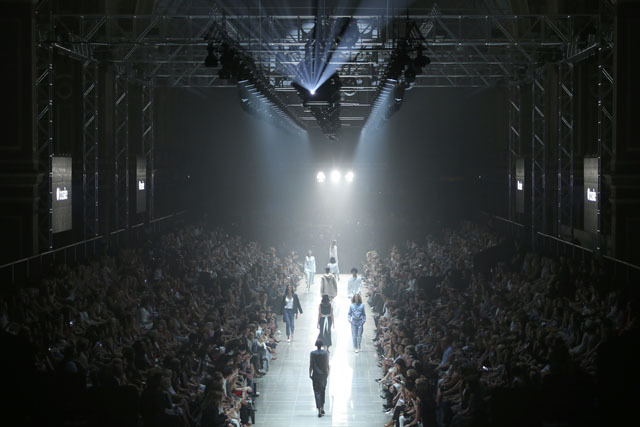 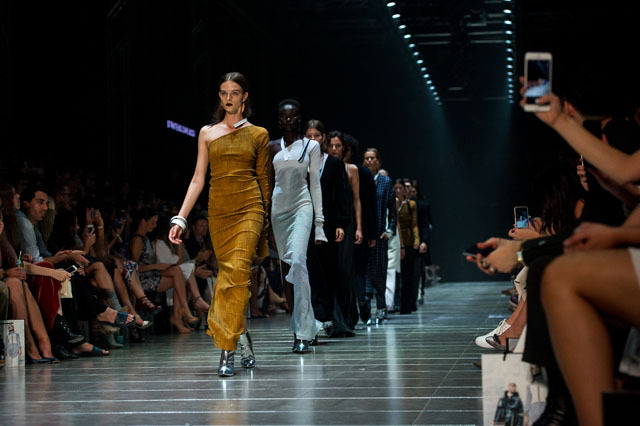 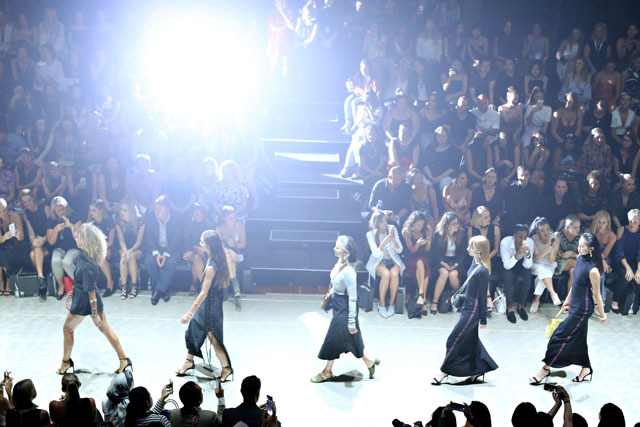 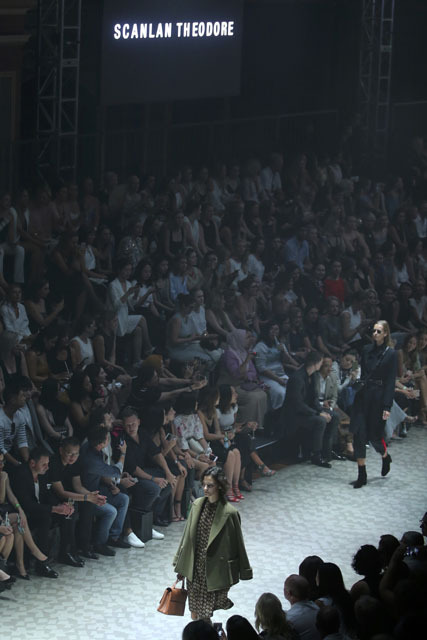 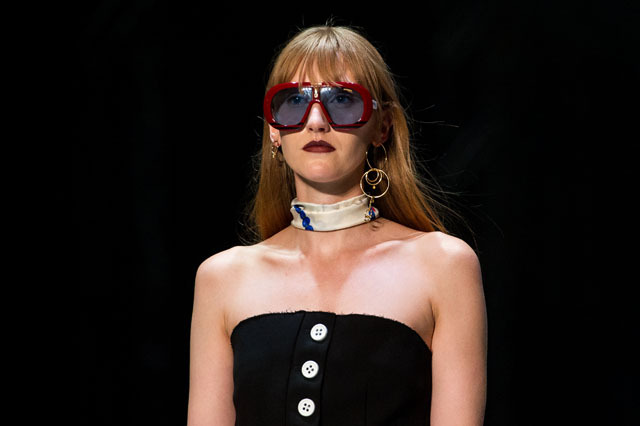 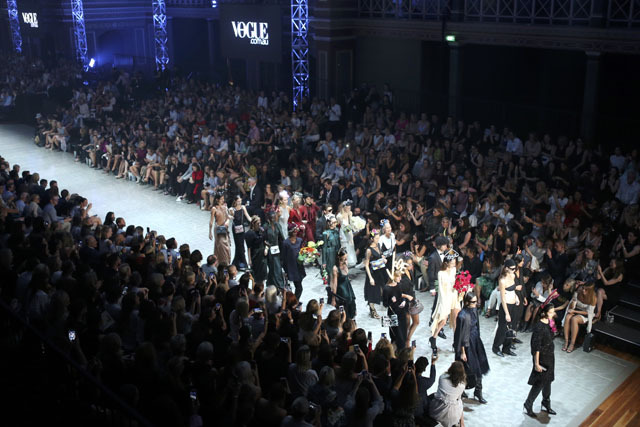 Hosted by Vogue Australia, Premium Runway 1 celebrated the namesake of the presenting magazine with strains of Madonna’s Vogue inter spliced with quotes from leading fashion voices, most notably Diana Veerland’s iconic ‘the eye has to travel’. 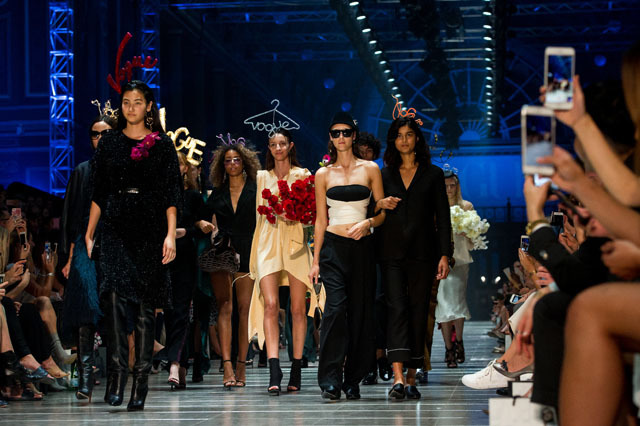 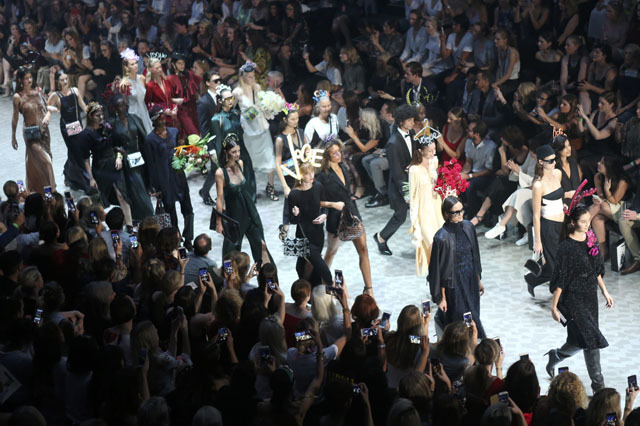 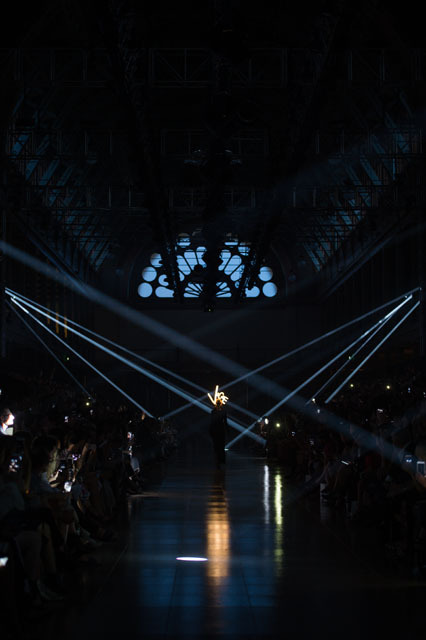 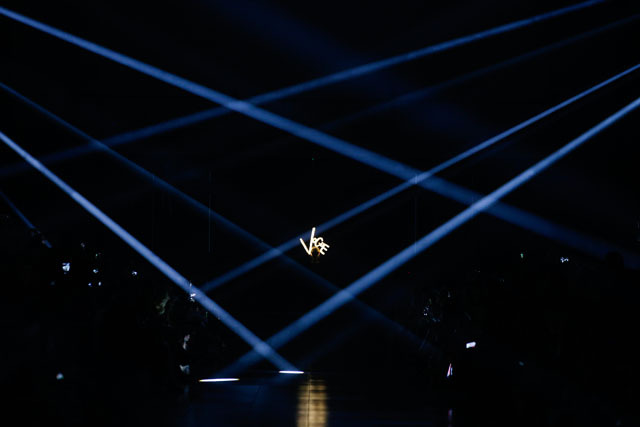 Most excitingly, the show was opened with a model wearing a stunning LED headpiece spelling out Vogue (created by Christie’s Millinery) – creative, and surely placed ideas for what to wear for the next Spring Carnival! 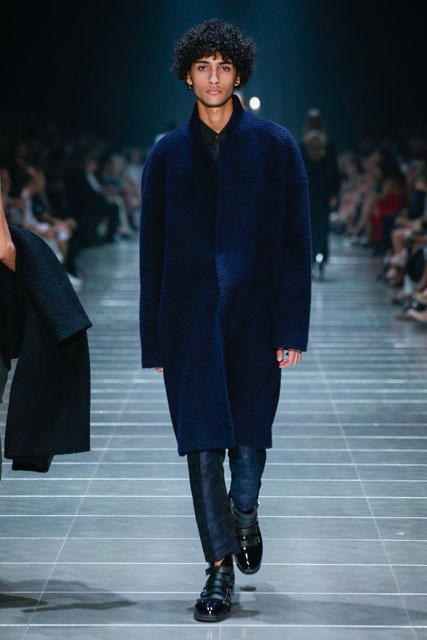 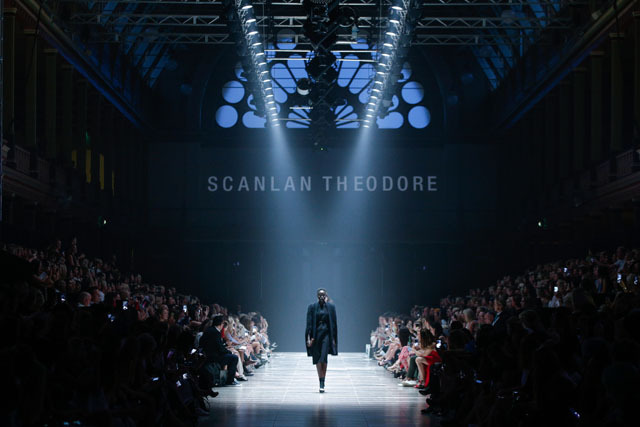 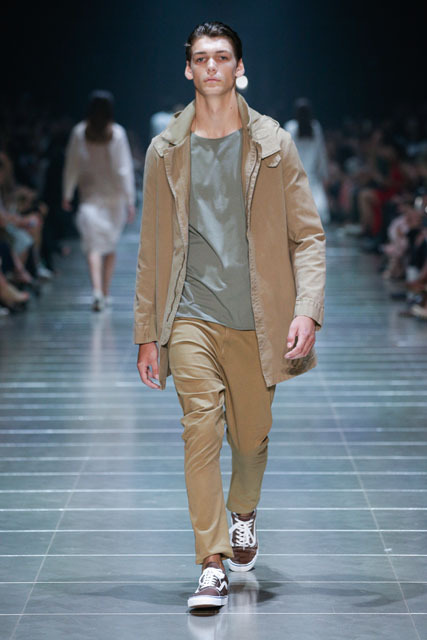 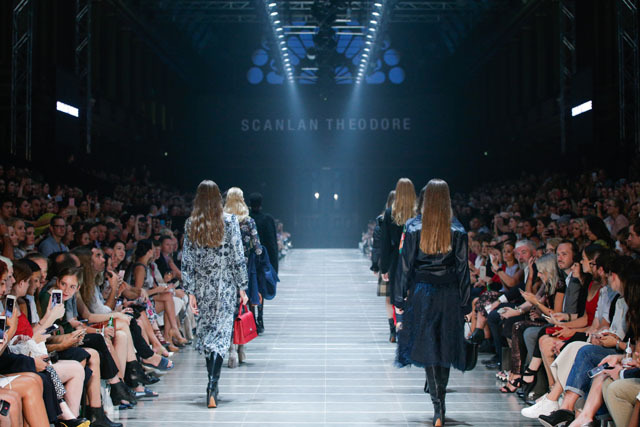 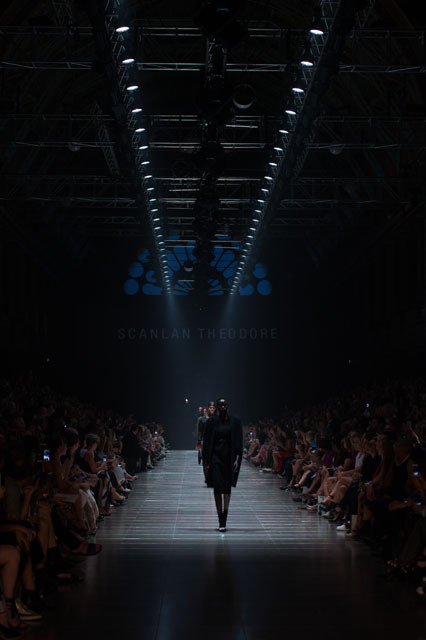 Scanlan Theodore showed multi textured pieces with a muted colour palette. 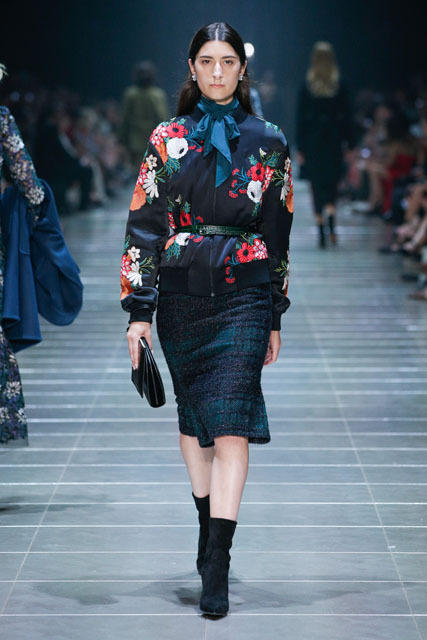 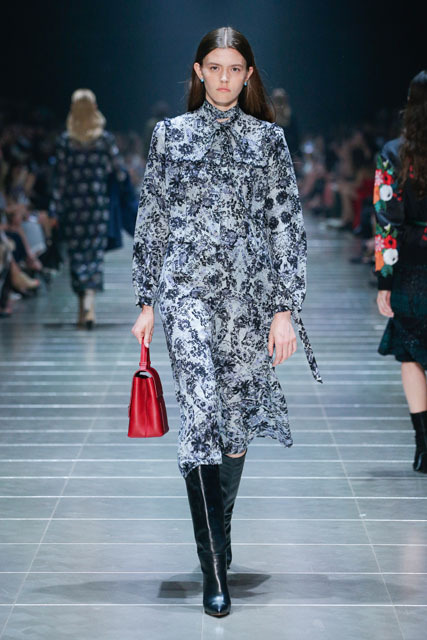 Leaning into chicer territory than previous integrations of military, the presented collection also boasted bursts of floral and pops of colour, lifting the pieces and showing an elevated design aesthetic. 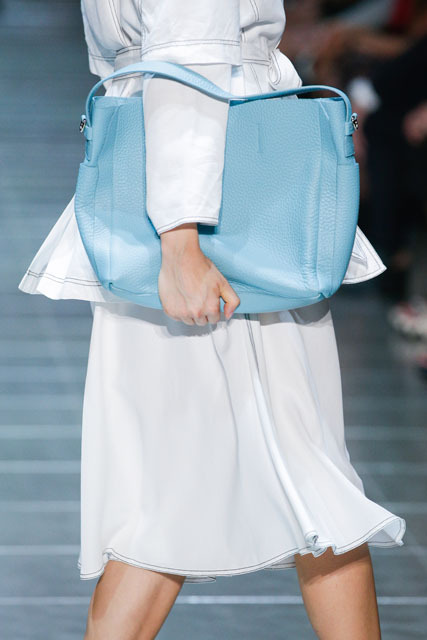 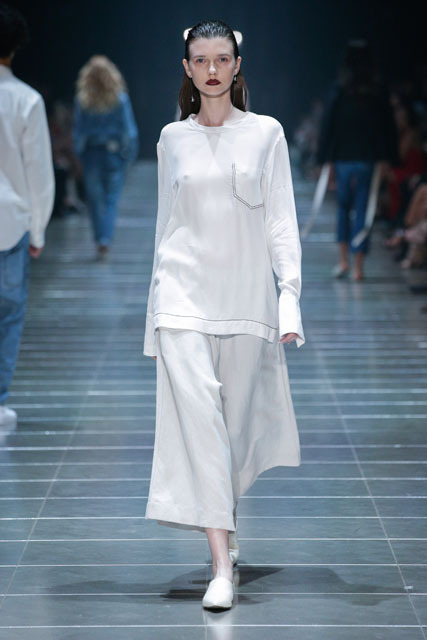 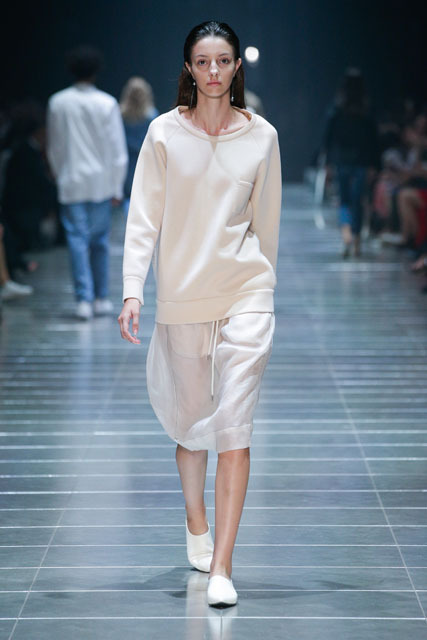 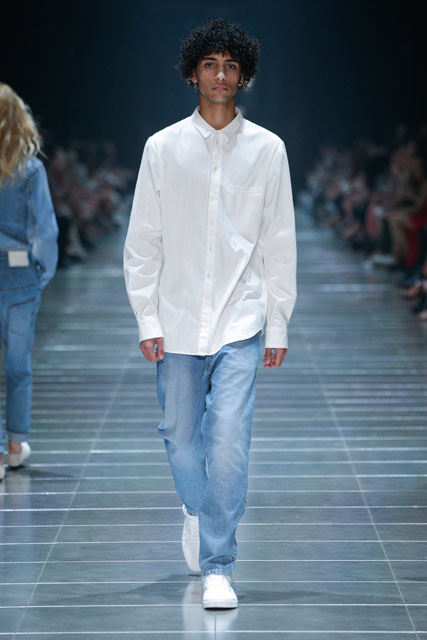 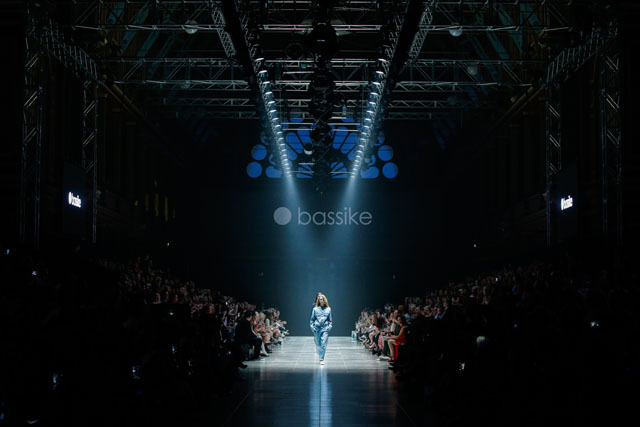 True to the name, Bassike presented clean wardrobe staples, mixing soft pastels against solid monochrome. 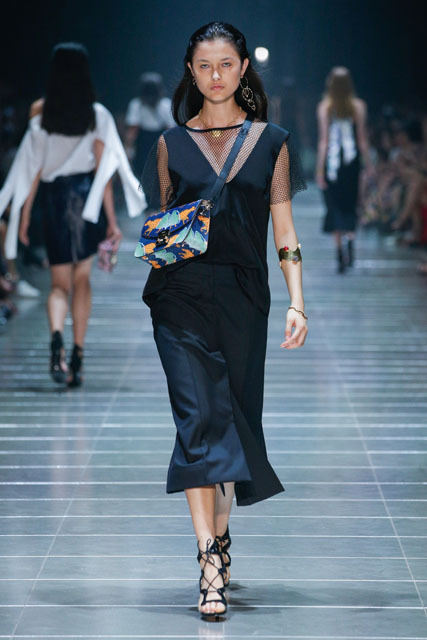 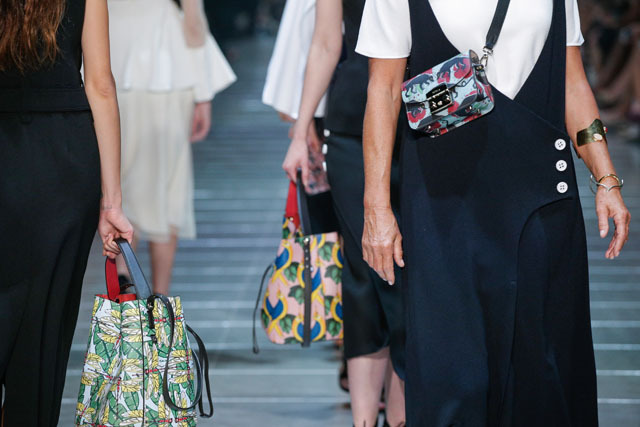 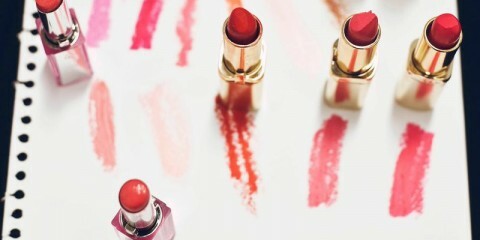 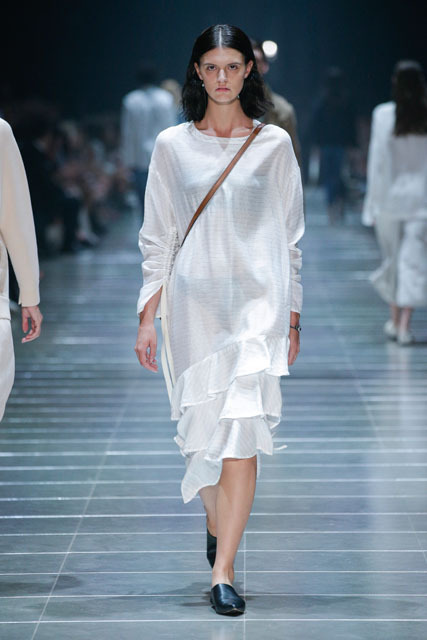 As the leaders of chic weekend wear, the collection was easy wearing as opposed to the more structured pieces on show. 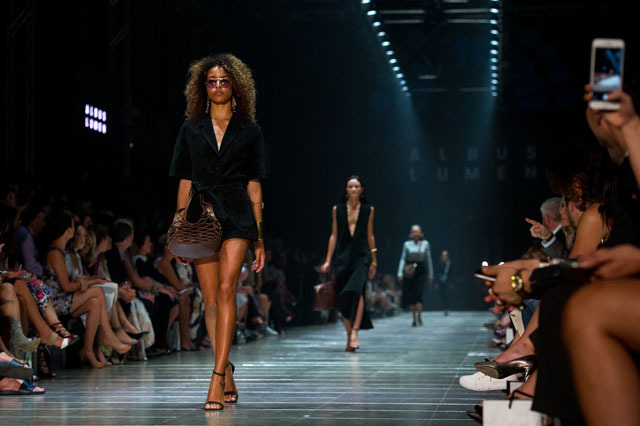 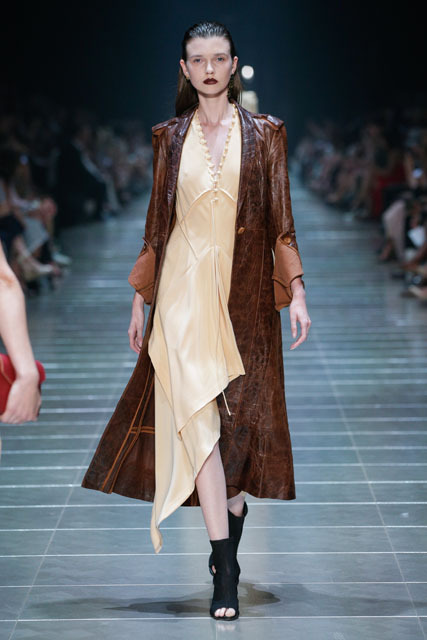 Soundtracked to Lana Del Rey, the Albus Lumen collection celebrated the cool girl, with vintage suede rompers walking alongside long line jersey dresses Rihanna would approve of. 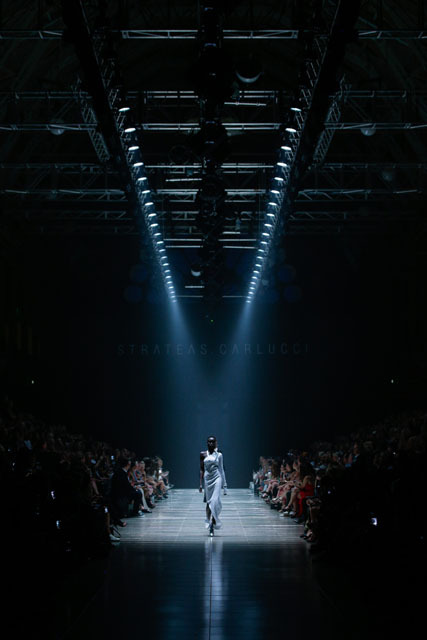 Striates Carlucci presented their pieces to a cropped and skewed version of Sia’s Cheap Thrills, with equally deconstructed looks. 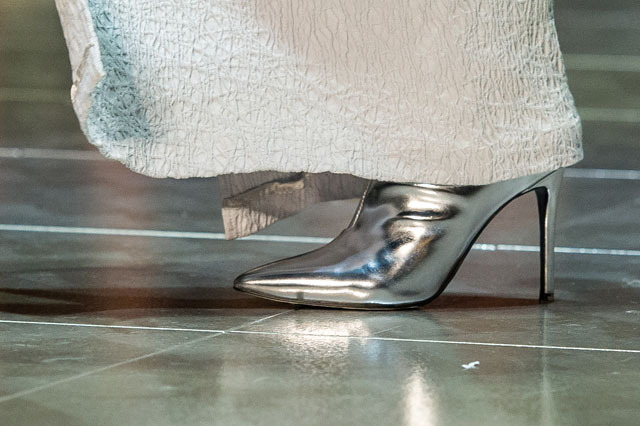 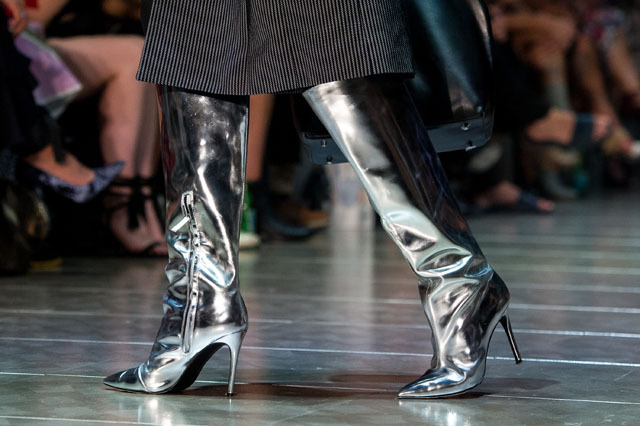 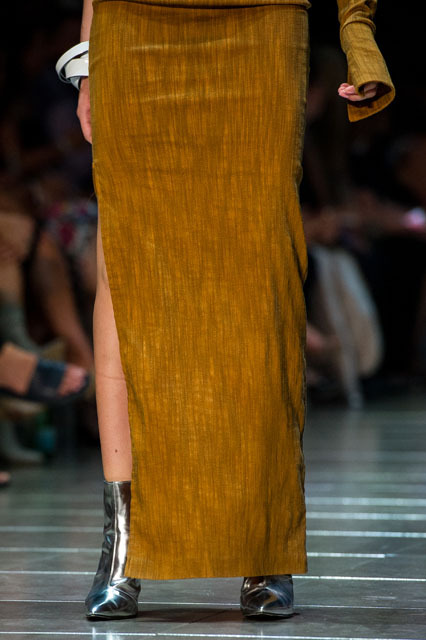 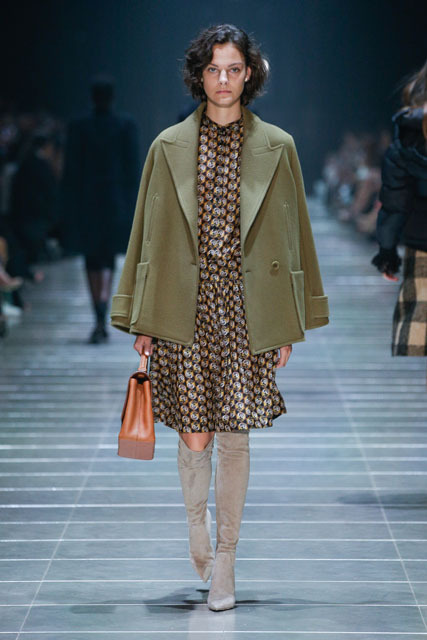 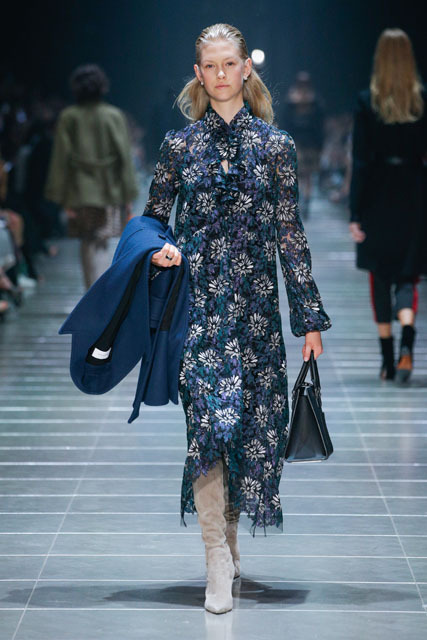 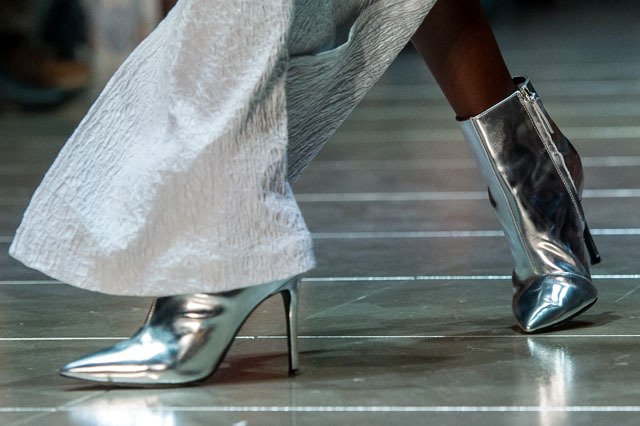 One shoulder dresses, distressed hems, and relaxed cuts were the main trends represented, and styled with silver Balenciaga-eque boots. 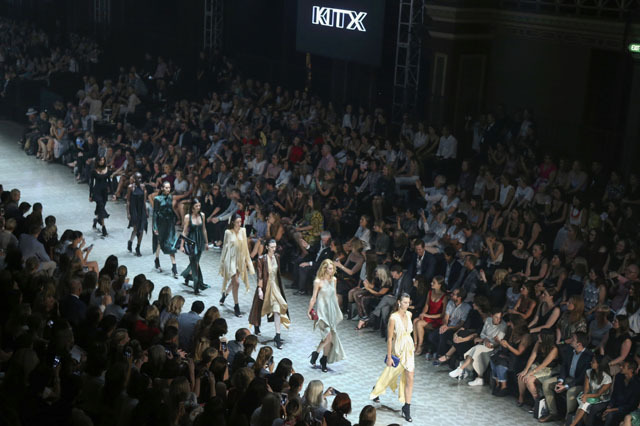 Kit Willow has long been the master of feminine silhouettes with a difference, and her collection for KitX continued her reign as queen of this. 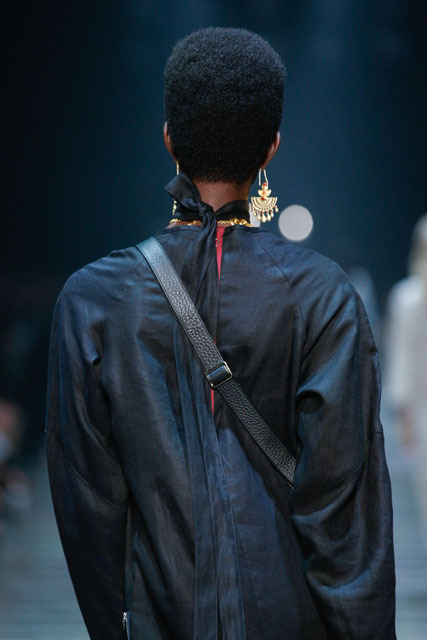 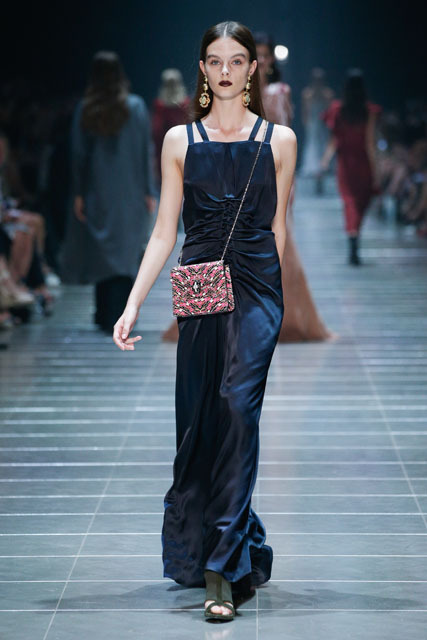 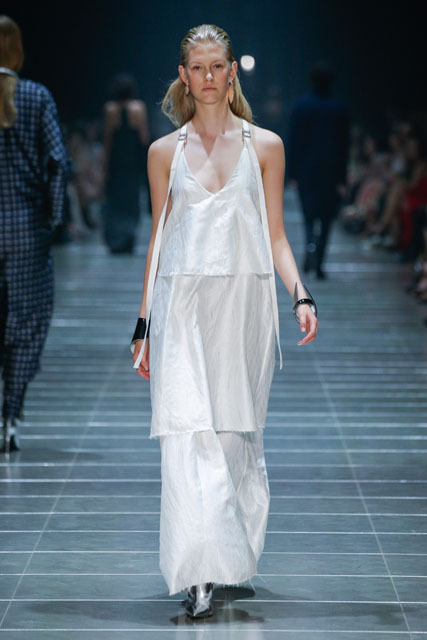 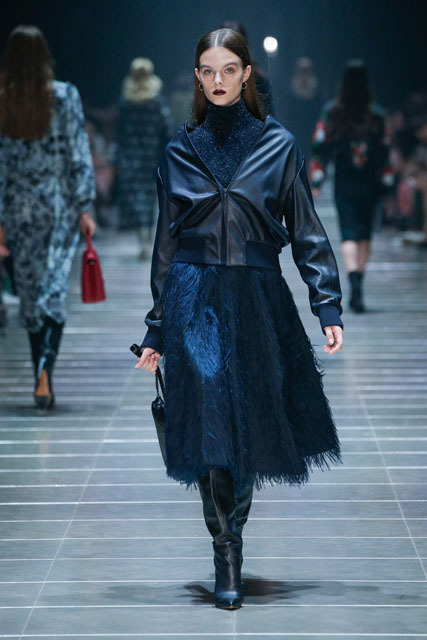 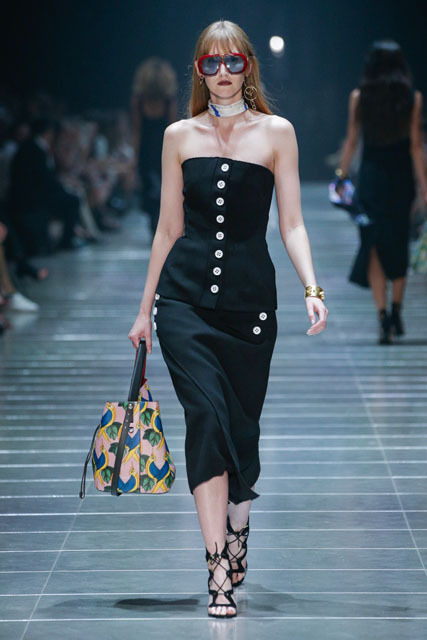 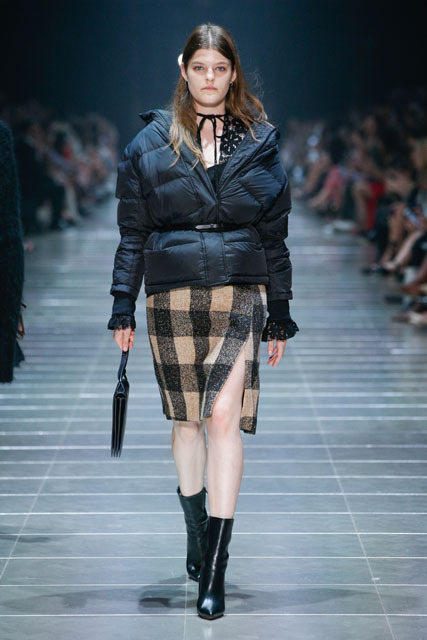 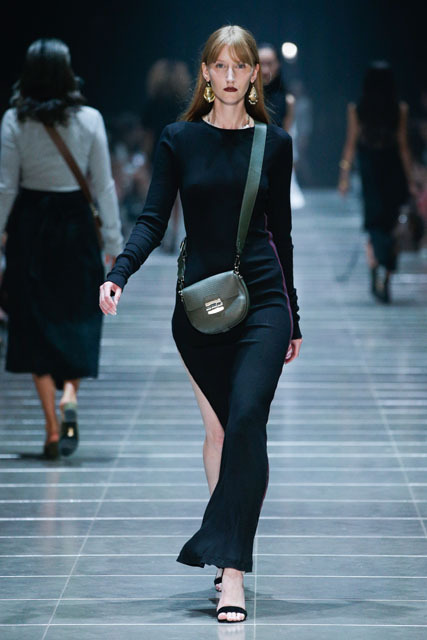 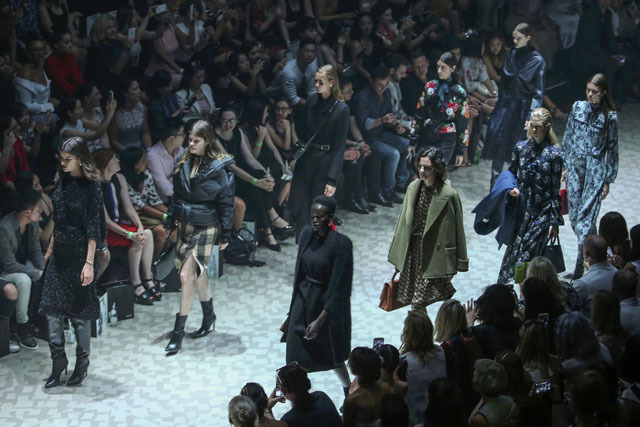 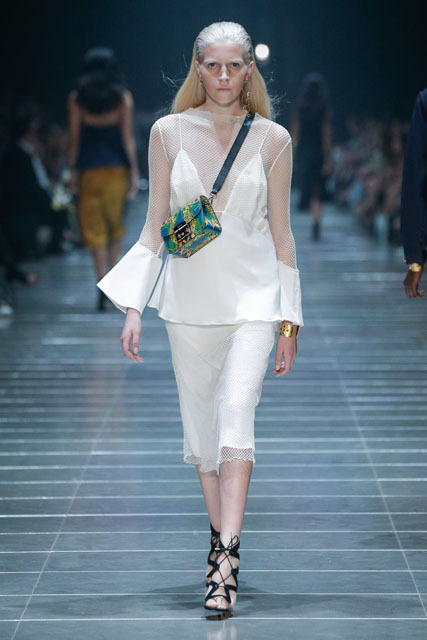 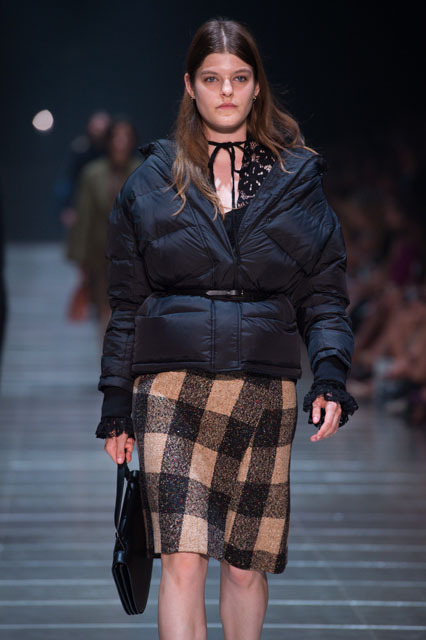 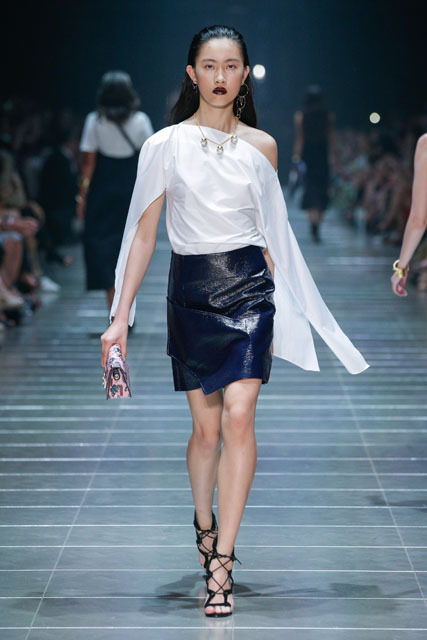 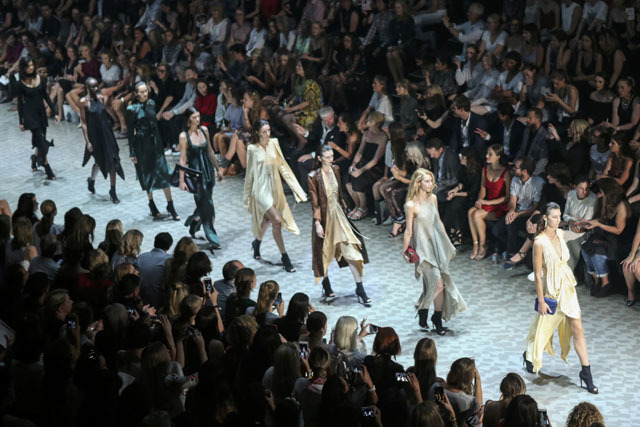 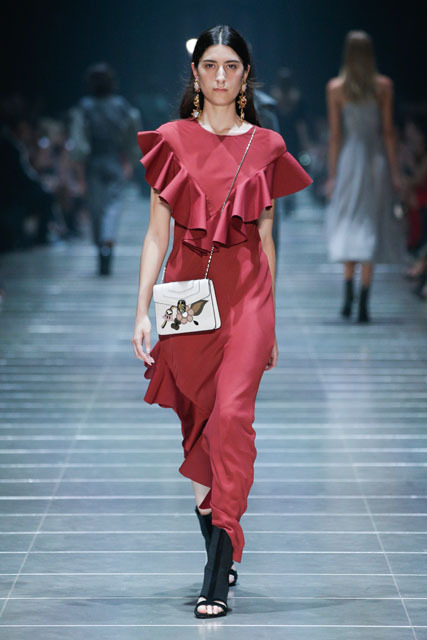 Silk, distressed leather, crushed linen and luxe velvets made up the multi textured pieces, and a bodice tunic reminiscent of Jean Paul Gaultier’s corset look for Madonna not only fit the theme of the night, but was one of the standout pieces of the show. 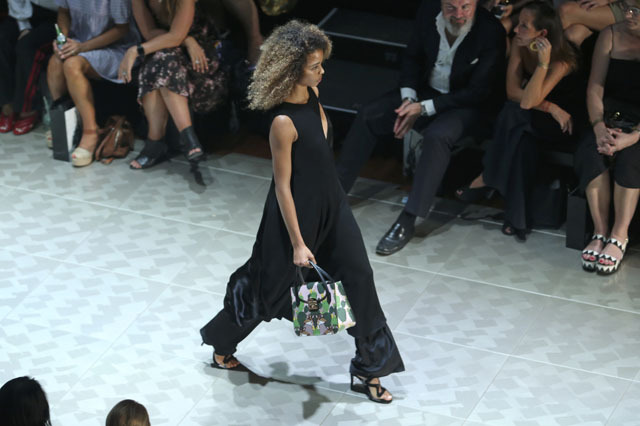 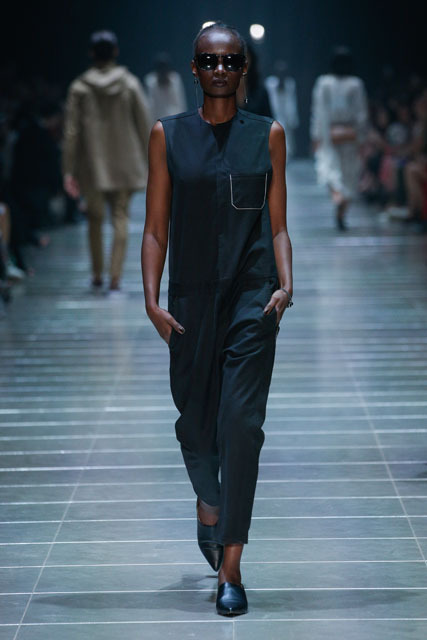 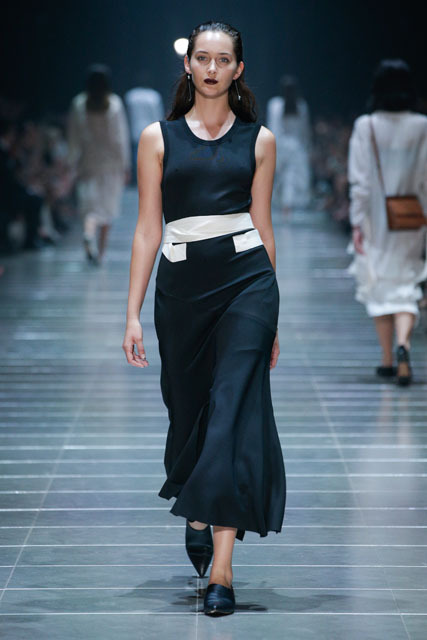 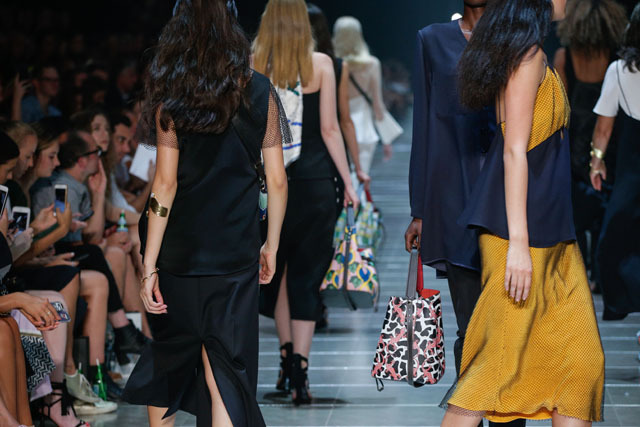 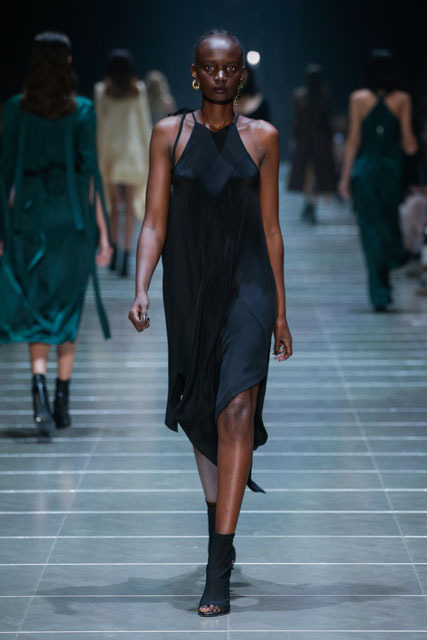 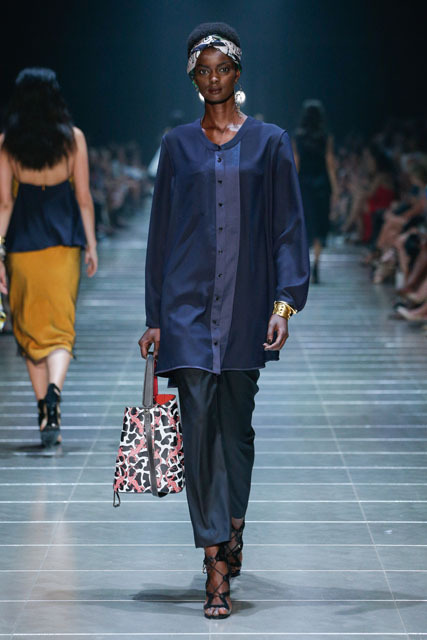 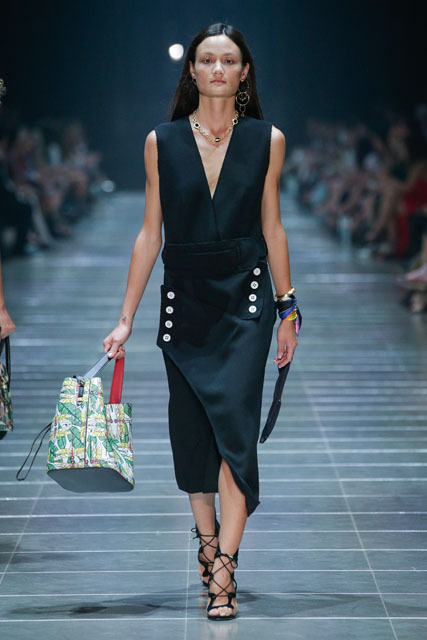 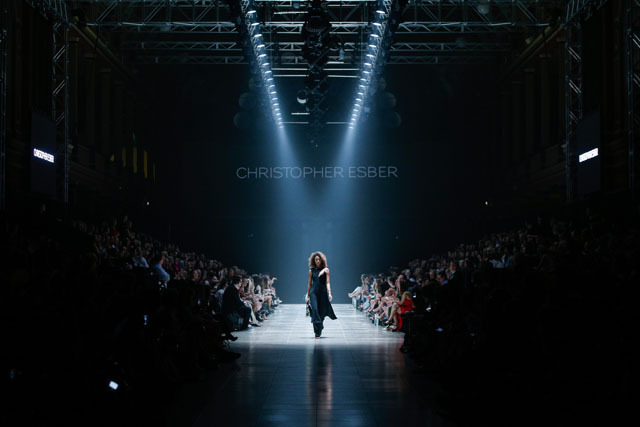 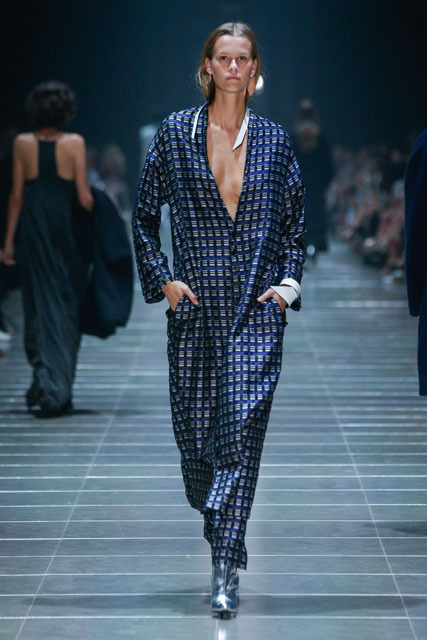 Christopher Esber presented new imaginations of the classic slip dress, as well as a must-have buttoned bodice, wrap dresses and monochrome separates – all styled with hypercoloured bags, shoes and headscarves. 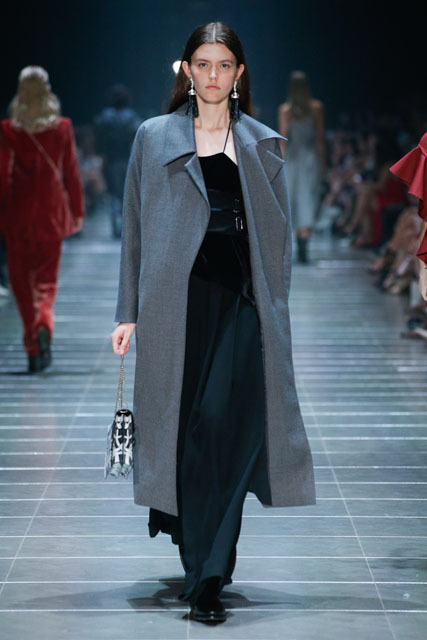 Bianca Spender showcased jewel tones against cool neutrals, with her signature suiting being created in unexpected fabrications (the red velvet suit was a definite showstopper). 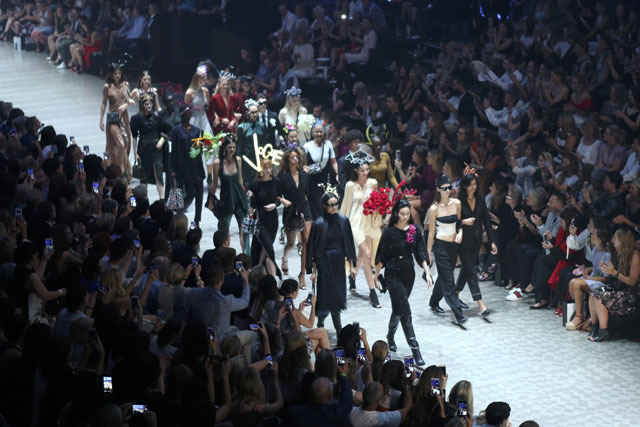 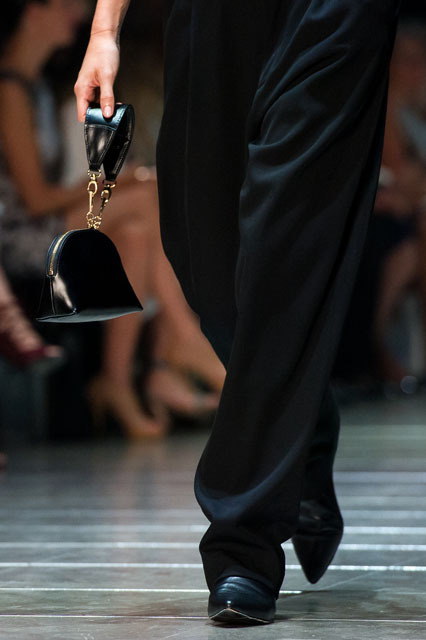 Calling back to the opening, the finale walk had all models walking with Vogue-inspired millinery – a perfect ending to an amazing show!